Android has yet to get there, the biggest problem is so many different hardware types and how easy it is to pirate the software. If I was an app developer I'd rather use Apple but if Android means making more cash and no cut to google, then it will eventually take off. But because theres no standard for Android, it will never be fully optimised for "all" handsets unless they finalise say 1.2ghz specific type CPU minimum for Android 3.2 or whatever. Theres plenty of dodgy Android handsets, resistive touch etc. Anonymous, 05 Sep 2010Yes you can use ur android phone as a modem to access internet on a PC through applications ca... moreHi.plz tel realy that can I use as modem. Last month I return this x10 mini pro phone bcoz of no modem for net on pc. One thing reply me that why android phon hav not video call facility. Is there any android aplication. that fon battery is long lasting or not..
how much it price in malaysia. overall nokia wifi is much2 better than sony ericson...this will be no diffrent..and no video call some more?! When is this phone going to be released in the UK? while nokia x6 has more features than x8 and still having rating below 8(7.7)?????? it just only due to android OS or anything else...?? @Ravi there is a reason for that n its because of the droid's crazy development. Xperia will get a eclair update in end sep but then gingerbread would be launched in oct. See SE has to customise its uxp n that takes time admit that its behind htc but then apart from live wallpapers you can do anything on donut if you root. Good move sony. 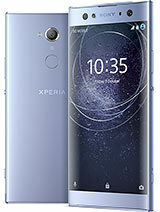 3 mega pixel is ok, we were just concerned about size of xperia 10 mini. Now it is 3 inch in this phone. So we can surely look to buy it.